A few days ago I found this picture and story about Franc Grom. I thought, I bet I could do something like that with my handy dandy dremel! So first I blew out some eggs then I played with a few eggs trying to pick the best drill bit for the job. I tried about 4 different bits. I ended up going with this high speed cutter. I can control the size of the hole this way. BUT because of it’s shape it doesn’t cut the inside… skin??? What would you call that stuff? So then I took the small drill bit and ran it along the insides of the holes to clean them out. This was the smallest drill I could find. The 1/32th of an inch. Looking at the pictures of what Franc Grom does his is SO much thinner than my bit. I’m not even sure where he get’s his, but I’d love to find a smaller set. I’m still searching for a itty bitty microscopic drill bit like his. 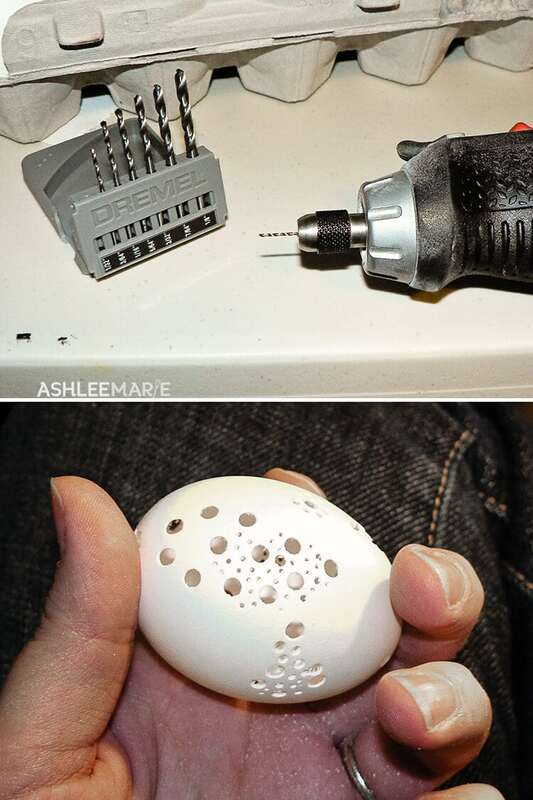 Also my eggs kept breaking when I drilled the holes to close to each other. I have to wonder how Franc Grom get’s rid of his inside “skin” as well as how he get’s his designs so close together. Does he treat the outside with something first? Something to make it stronger? When I try these again I’d try covering it with something, maybe mod podge, first to help strengthen them, and even gloss them up a bit. Then try it. I would love to have been able to get more detail but I didn’t want to push my luck with even more eggs breaking. Previous Post: « thread crochet beaded Socks! This article: http://www.wikihow.com/Blow-Out-Eggs says blown out eggs may get stronger after drying them in a microwave or oven. that’s GREAT idea! I’ll totally try that next year! I loved your egg drilling! 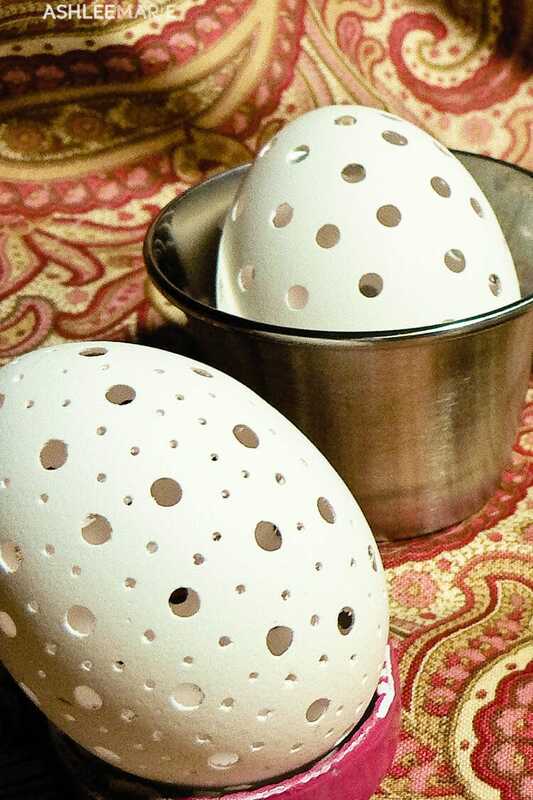 I’ve tried a couple of drilled eggs but yours are so much nicer – you need some more photos and I need more practice. I also had trouble with breakage until it tried a small diamond drill bit that I had from drilling sea shells and glass. Wow, what a difference. It worked like a charm and was the key to drilling with no breakage. totally, really small drills were the secret for me. I haven’t made these in YEARS I really should redo them and take more pictures! Thanks for the reminder!